On Sunday night, some of the funniest people on the planet got together to honor one of their own. Tina Fey, Amy Poehler, Vicki Lawrence, Tim Conway, Julie Andrews, and Rashida Jones were on hand to celebrate Carol Burnett, the Mark Twain Prize for American Humor recipient. The 80-year-old comedienne was honored at the Kennedy Center for the Performing Arts in Washington, D.C. and is the sixteenth entertainer to be awarded the coveted prize. Last year, it was Ellen DeGeneres who took home the honor. If you're wondering what took them so damn long to give Burnett the recognition she so deserves, there's a simple answer behind that: timing. On the red carpet before the ceremony, Burnett revealed that she'd been asked many times to accept the honor, but she's never been able to fit it into her schedule. She quipped that now, at her age, the timing seems perfect. 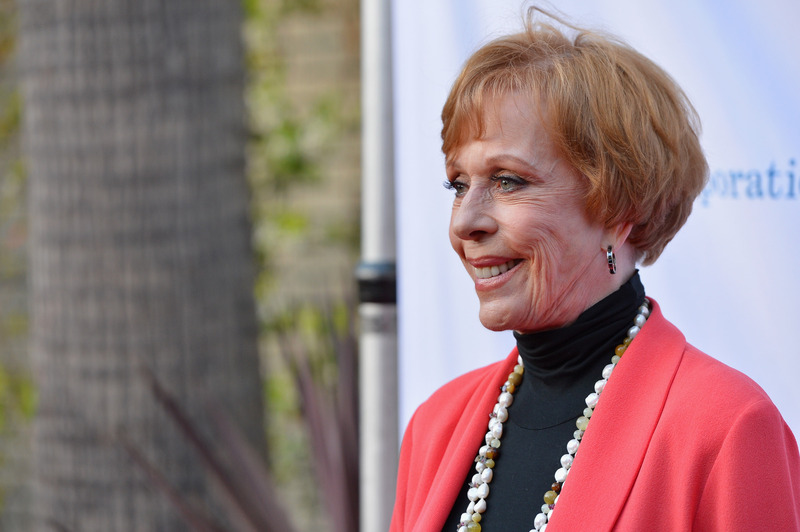 The woman has been in the business for over six decades, and as many of the presenters noted, blazed a trail for women in comedy. Fey addressed Burnett, saying, "I fell in love with sketch comedy watching your show, and you proved sketch comedy is a good place for women," and started her speech by remarking, "I love you in a way that is just shy of creepy." Before there was 30 Rock or Parks and Recreation, there was The Carol Burnett Show, which TIME named one of the 100 best TV shows of all time. When that show premiered in 1967, many of today's female comediennes were busy being spoon-fed mashed carrots and shitting their pants. But the most amazing thing about Burnett is that she's been a part of the entertainment landscape for the last 60 years, which means that no matter how old you are, you know who she is. You also know that she's hilarious. I can remember when she became a regular on my favorite 1990s television show, Mad About You. The sound of her voice made me laugh every time, and when she came up with the name for her granddaughter on the show, Mabel, it obviously stuck with me: "Mothers Always Bring Extra Love," she said. According to the Washington Post, the running joke of the evening was that Burnett didn't need another anything . She has countless Emmys, a handful of Golden Globes, a Presidential Medal of Freedom, a star on the Hollywood Walk of Fame, a Kennedy Center Honor, and now, the Mark Twain Prize, but I'd argue that Burnett needs more of everything. When you're as influential as Burnett, the recognition should never stop.